The following items would provide a great starter pack for clinical biofeeback and some focused research applications. 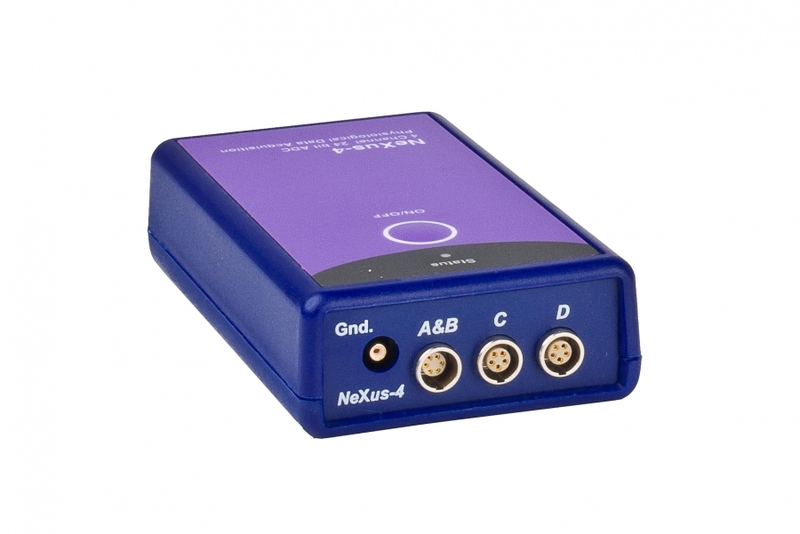 Based on the NeXus-4 unit the system is portable and extremely flexible and powerful. The suggested range of sensors allow multi-modal data capture within the channel limitations of the NeXus 4. The NeXus 4 system is an affordable, medical grade system that supports many biofeedback and neurofeedback applications. It comes with batteries, hardware manual, leather carry case and it's equipped with a Bluetooth interface. It is capable of measuring up to four signals simultaneously. By using these signals as feedback, one can learn more about the body-mind interface. The NeXus-4 can measure up to two channels of EEG, EMG, ECG and EOG signals as well as up to two peripheral signals like heart rate, relative blood flow, skin conductance, respiration, temperature, and more. The NeXus-4 is so small it fits in your pocket and it communicates wirelessly with your computer using bluetooth technology. Thanks to its portability the NeXus-4 provides the user with a great deal of freedom in movement during a session. Its built-in flash memory of 64 MB can store more than 8 hours of physiological ambulant data. Read more about the NeXus-4. This cable with a noise isolating carbon coating is used for connecting the measurement system's ground to the client. When recording electrophysiological (EXG) signals (EEG EMG ECG EOG or SCP) a single ground is always required. This ground cable must be used in combination with the EXG or the SCP Sensors. The BVP Sensor is used for measuring Blood Volume Pulse (BVP) or Heart Rate (HR). The Skin Conductance or EDA (Electrodermal activity) Sensor measures sweat gland activity, which is closely correlated with activation of the sympathetic nervous system, arousal and stress. The Temperature Sensor has been designed for monitoring very small temperature changes in the peripheral extremities.